Standing in the centre of Al Barsha, the property is in an ideal location for business and leisure travellers alike, with leisure and business attractions within arm’s reach. Coral Dubai Al Barsha Hotel is home to 337 rooms, three dining outlets, state-of-the-art meeting rooms, a whole floor dedicated to health with fitness and spa options, a swimming pool and a kids’ club. Meanwhile, CEO, HMH, Aboudi Asali remarked: “The Coral Dubai Al Barsha Hotel is a great addition to our portfolio and an important milestone for the Coral brand. It supports our expansion goals while diversifying and strengthening our value proposition. “With our commitment to excellence and passion for service, we are dedicated to drive greater success to all our existing and upcoming properties. Our goal is to position the Coral Dubai Al Barsha Hotel as a popular choice for travellers offering the highest standards. 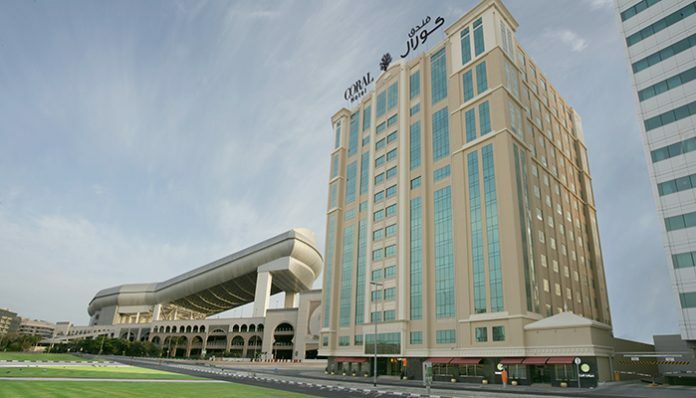 The hotel’s location right next to the Mall of the Emirates enables us to cater to guests who want to stay with a brand that they know and trust,” Asali concluded.